Historic sources tracing the origins of European civilization tend to the conventional Greek and Roman with side bars for Thracian, Scythian, or Etruscan and other such influences. But much less is know about their earlier precedents or the story that emerges from the Neolithic-era cultures that thrived in the lower Danube River basin. And what is least well know -though now well documented and scientifically proven – is the cataclysmic flooding of the Black Sea 7500 years ago or 5500 BC. From this event emerges a new vision of the Biblical flood and ensuing migrations that fueled the blossoming Summerian and subsequent middle-eastern civilizations. Relevant to Romania in this telling of ancient origins is the birth of the Vinca and Tisza cultures, and later Cucuteni cultures from which flow spiritual symbolism that survives to this day in the traditions and crafts of peasant Romania. Four compelling books tell this story. 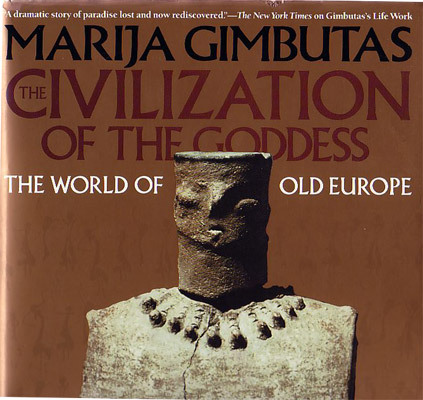 The first is the work of Marija Gimbutas, the famed UCLA archaeologist, who documented Europe’s early civilizations and brought into focus the significant Neolithic-era civilization maturing in the lower Danube basin. She makes a compelling case, along with other scholars, for this being the craddle of European civilization – and perhaps even the birthplace of man’s first writing prior to its emergence in Sumeria. 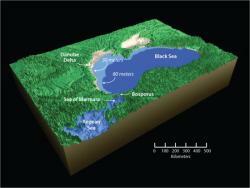 These burgeoining cultures were interrupted in their evolution by the flooding of the Black Sea as an outcome of the receding ice-age glaciers. This event is described by two noted marine geology scholars, W. Ryan and W. Pittman, in a well crafted book. They share the discovery of sea-bed core samples and the dramatic revelation of a sudden change from fresh to salt water and its scientific dating to 7800 years ago. This event drowned the coastal civilization and caused dramatic migrations in several directions including up-river into Europe and southward into the Turkish plains. 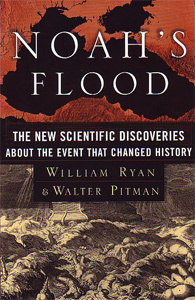 The offers an explanation of the origins of the Biblical flood and the stories that evolved into the legend of Noah’s arc. Unique to contemporary Romanian folk customs and practices are their ancient origins. Many of these can be traced millenia back into Neolithic times. Prof. Ion Ghinoiu’s work is exceptional in its understanding of the deeper meanings to be gleaned from folk costumes, symbolism, traditions, and practices. This is superbly explained in his most recent publication. Using the 365 days of the year as a structure to his book, he uses each day to explain the meaning and origin of specific folk customs. 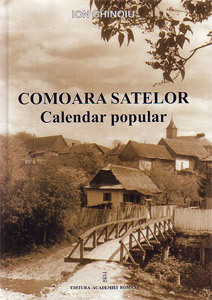 SEE: Comoara Satelor – Calendar Popular (2005) / Translation into English in the works under the title Romanian Folk Calendar.